There is one thing I have sure found out in a hurry, in the world of writing, if you aren’t one of the bigwigs, there is a definite stigma and many doors are slammed in your face. 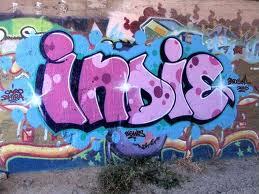 “Indie” writers is a term that you often hear used to refer to authors who self-publish or publish with a small publisher that isn’t well known. Getting your book into a big chain bookstore is almost impossible. I figured Barnes and Noble and Books-A-Million would be happy to have me sell my books at their local branches and do author events. Boy was I wrong! I mean, I knew that the entire chain wouldn’t carry my books unless they became popular enough, but I figured at least the local stores would work with me, but the corporate powers-that-be won’t let them. Getting your book into an independent bookstore isn’t much easier. Yeah, they are normally more willing to take a chance on local authors, but with the way the economy is right now, many of our local bookstores are barely keeping afloat or are in the red, so they just aren’t willing to take those chances right now. Libraries can be kind of snobby, at least some of them. They will carry crappy quality books from major publishers (why else would they carry books by Paris Hilton, Snooki and the like? ), but they can be EXTREMELY picky when it comes to unknown authors and publishers. They may turn you down with a reason that seems flimsy and ridiculous, but swarm to the newest fluff put out by celebrities. Of course, not all library systems are like that and sometimes they turn indie books down for good reason (like lack of funds). Getting into local schools isn’t a piece of cake either unless you know someone personally. Many schools seem almost suspicious of authors they have never heard of, maybe because our society has become so crazy and schools have to be extra-careful about what kind of people they allow near their students. I can totally understand their point of view, but it still makes it difficult on us children’s writers. Lastly, if you really want to be a success, you have to take advantage of every opportunity you DO get. Most of the businesses I have found who are willing to hold author events aren’t the ones I expected. Try coffee shops, art centers, community organizations and anywhere else you can think of. After all, the worst they can do is say no, right? I think the problem is not the indie label. I have worked as an author, recording artist, journalist and reviewer. The problem is truly how you promote yourself and reach out to people. Yes, brick and mortar bookstores and libraries are snobby. But from experience, I know that with the rise of digital media, you can be successful without having to rely on them. It’s all about the way you promote yourself. The most vocal authors I have seen are also those who do not know how to leverage promotional tools available. There’s a lot of truth in that post! Although I’m said to see the same stigma worldwide I am relieved it’s not just in Canada. Fortunately I’ve had some luck having an independent bookstore take mine and other local authors book on consignment. Although response hasn’t been huge it’s a wonderful surprise when they tell me a cheque is ready. I’ve also had a lot of luck with working in schools as my children’s book was specifically designed or suited for schools in my area. I wish you the most of luck, Maranda, and appreciate your suggestions on who else to contact. I’m not sure if you have a local children’s gym but I’ve had a lot of luck working with them as well for my BananaBoy Fans book. Hi Elizabeth! First off, welcome to the fray! Secondly, you are right it is hard and exhausting, but hang in there, it does eventually pay off 🙂 And definitely do lean on those who are supportive and have been there before, I have learned an incredible amount of things from fellow authors and creative types!